Technical snow outwear is not all about looks. Of course you want to look stylish and fashionable when riding but you should really consider the tech as well and choosing the right gear for you and the conditions you are going to be in. After all it does not matter how cool you are looking, if you are cold and wet you will end up looking like an idiot any way. So it's well worth considering a few functional points when choosing your outerwear. All outerwear clothing from The Board Basement comes with Waterproof and Breathability ratings. Clothing featuring Gore-tex is considered to be completely waterproof and completely breathable. So if you see the Gore-tex logo you are guaranteed to stay dry. All good outerwear comes with a waterproof /breathability rating, displayed as 5k/5k (5,000/5,000). 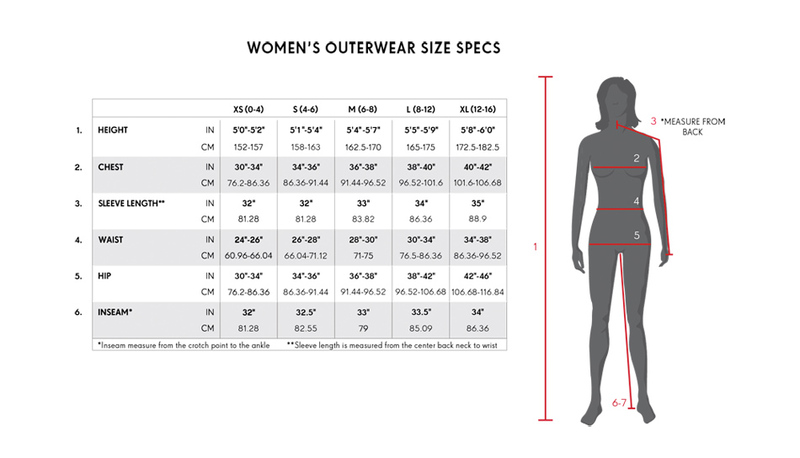 The numbers display how much water the fabric repels, and how much moisture/sweat it can transport out of the garment. Anything over 5,000 is good quality. Waterproof ratings: The fabrics are tested by filling a column with water. The garment is then lowered in and the depth that the water reaches before droplets form on the other side is measured. It is usually measured in millimetres, with anything from 5,000 to 30,000 being normal. Essentially, the higher the number, the more waterproof the garment is. The price tag will also go hand in hand with the rating number. Breathability ratings: As you ride you will become warm and start to sweat. If that moisture can't escape from the garment you will become wet. Wet and cold is not a good combination. The breathability rating tells you how much moisture can pass through from the inside of the jacket to the outside in grams/square centimetre/24 hours (Or GM). Most garments have a rating of between 5,000 GM and 20,000 GM. Again the higher the number the better the garments "Breathes". In short: 5k/5k is good, 20k/20k or higher is extremely good. Insulated snow clothing has an integrated moisture-wicking thermal lining. You will often get several layers of insulation fabric inside an outer layer of waterproof material. If you want outerwear that will perform for most conditions through the season then insulated clothing might be the best option for you. Non-insulated clothing are often referred to as a Shell garment. These are not very warm but with a higher Waterproofing/Breathability rating. These are great for spring conditions or in cold conditions as long as you layer up underneath. Down (Puffa) jackets are really warm and designed to be ridden in the most extreme cold conditions. These jackets often got insulation built into the shell. If you are getting one, make sure it has got good ventilation so you don’t over heat. The best way to stay comfortable through out the day / season is to make sure you have good layering. First is the Baselayer. Make sure you have got something that is moisture-wicking and fast drying so you can use for the next day. Avoid cotton as it takes a long time to dry and it will also hold moisture. Midlayers. If you got a really good insulated jacket you might not need this. For colder days it can be good with a hoody or sweater made from synthetic material such as fleece, recylcled polyester, hemp, Marino wool and Bambo are advised. Outerlayer. This is your protection against the outer elements and should be both water resistant and breathable. Please see above (Fabrics & Insulation) for more information. Taped Seams and waterproof zips: For the higher spec garments you find fully taped seams that will stop any moisture getting in through the stitching or fastening of a garment. Garments (Jacket & Pants) with critically taped seams have only got the most exposed stitching or fastening taped. What is it good for? Imagine riding fresh powder… If you spend a long time in the snow you will eventually get wet. If you are spending a long day in extreme conditions, it is well worth staying dry and comfortable. Venting: Preventing you from over heating. If you been working really hard on the slope and feeling warm it is very nice to be able to let some cool air in without compromising your protection from the elements (Snow). Most garments feature mesh and are found under the armpits and the inside of the thigh. Powder Skirts and boot gaiters: an Elasticated band that seals the gap between your jacket and pants, and your pants and boots, to prevent getting snow inside your clothing. Often you will find PJ (Pant & Jacket) connect so you can attach your jacket to your pants to make the seal secure. Stay warm and dry. Each garment has it’s own special features. Just check the key feature list to find all sorts of cool features. Very Important! ?Zip up all zippers and attach all Velcro before loading! ?Zipper sliders and teeth can easily be damaged in the washer and/or dryer. ?Velcro gets clogged up with fuzz from other garments and can snag your other clothes, causing damage to both. Front-load machine wash only! Using an agitator-style top-load washer could possibly do damage to your technical outerwear or clothing. Gentle cycle should be all that is recommended to clean your technical outerwear. If your outerwear is stained, you may be out of luck. Use cold water! ?Actually, warm is OK, but cold is preferred to maintain the waterproofing. Use outerwear-specific detergent or powder. Using liquid detergent that is not outerwear-specific clogs the pores of technical fabrics and damages the DWR coating, greatly reducing the performance (waterproof/breathability) of the garment. Hang Dry in shade or Tumble Dry on Low Heat. Drying with excess heat can damage or melt fabric, zippers, and/or trims.? Leave in until "almost dry" and change to NO HEAT or hang dry to finish. Low heat actually helps re-activate waterproofing after washing. ? Replenish Waterproofing as needed. ?The waterproof coating (the magic that makes water droplets bead up on your outerwear) on all technical fabrics will become less effective over time and use?- especially if you are around campfires, smokers, oily lift pulleys, or other contaminants in general.? Revive the performance of your technical outerwear by washing as instructed, then using a spray-on waterproofing product such as NikWax TX-Direct. 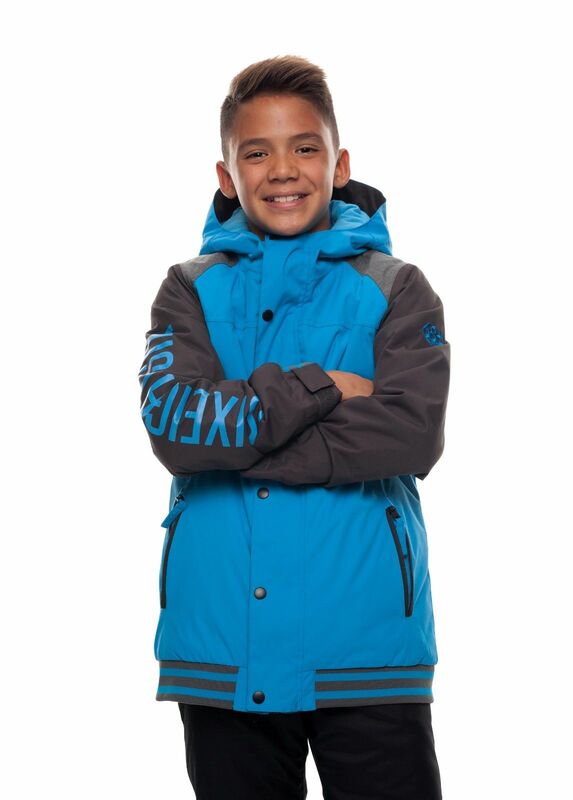 Built with a skate street styling the 686 Boys Captain Jacket is great at exceeding expectation, offering a 10k waterproof fabric he will be warm and dry and smiling for the whole time. The Captain Jacket also comes with youth evolution, pick out the red stitching inside the cuffs to make the arms of the jacket longer, aiding the jacket to last longer. Indicates the ideal temperature use. Use the slide below to find the best suitable garment. From warm spring days, to freezing cold conditions. The higher the index, the better the waterproofing & Breathability. Check the buyers guide for more information. Please note that clothing often comes in multiple colours, filter by main colour only. If you are not to fussed about colour, don't use this filter for a wider selection. Demin look with full snowboard functionality. Classic cargo snowboard pant with a looser fit.